Hi folks, and welcome to the latest tier list! This time around we've got a hand full of buffs, but otherwise relatively little movement. There are definitely some impacts from the world stage, but the meta is relatively stable right now leading into the end of the season. Ardent Censer supports continue to dominate solo queue, but Lulu isn't performing as well as she does in the professional scene, likely because to use her effectively you need to anticipate rather than just react. Added article on Guinsoo's Varus and moved him up a bit. Azir [Tier 1 Mid] - Azir in his current state is fairly powerful as of Patch 7.19, and continues to advance in the rankings as old players remember how much fun he is and start practicing the emperor again. His play-making ability is immense, and his ability to harass the multitude of melee assassins out of lane pre-6 is quite good. The only drawbacks he has at the moment are still his relatively high mana usage, but as long as you manage your resources well he can be extremely good. Ezreal [Tier 1 Jungle] - What was supposed to be a fad has bloomed into a full on mainstream pick. Ezreal is currently one of the most feared junglers on the rift as a result of his irritatingly powerful early-game ganking power. This translates to excellent snowball potential with his ranged red buff attacks, and applies a ton of pressure during the early game phase of the game. As long as your team has some sort of front line, he becomes difficult to deal with. Fortunately, ardent censer supports are still all the rage and melee supports are still lacking. Kog'Maw [God Tier Marksman] - Kog'Maw is one of those champions where players used to be skeptical about his ability to survive in a solo queue environment where support players play offensive-based picks like Brand or Leona. However, in the current state of the game most players choose to pick up peel supports like Janna, Lulu, and Soraka, then rush Ardent Censer. This results in an extremely powerful Kog'Maw that can shred through enemies with the overpowered Guinsoo's Rageblade. Lulu [Tier 1 Support] - Someone's going to yell at me for this one for sure, but Lulu simply doesn't do as well in a solo queue environment as someone who provides true healing like Soraka or Sona. If you are skilled with Lulu and your marksman partner knows how to trade properly she can be devastating like you see on the world stage, but otherwise it's generally better to have someone who is effective regardless of good spell timing. Malzahar [God Tier Mid] - Malzahar continues to be a solo queue powerhouse as he delivers excellent lane presence, particularly effective post-6 roams, and simply devastating amounts of damage. Ornn [Tier 2 Top] - After the latest round of buffs, Ornn has become somewhat of a lane bully and plays similar to a tanky version of Rumble with less mobility but more durability and crowd control. 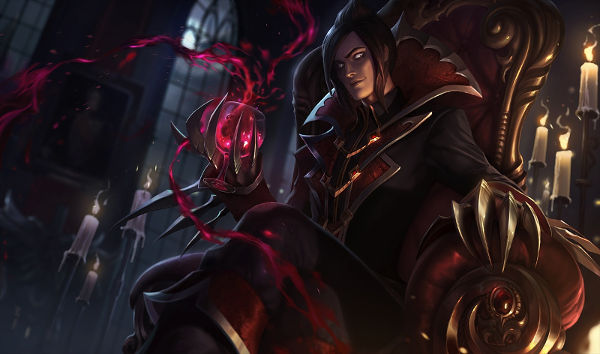 I think we'll see him start to be a prime pick in solo queue as long as Yasuo is banned. Singed [Tier 1 Top] - Singed continues to dominate the top of the charts in terms of win rate, but as long as he's hard countered by Teemo and Heimerdinger it's tough to say he really deserves God Tier as his hard-counters are insanely easy to play and difficult for Singed to do anything against. Vladimir [God Tier Top] - Vladimir is back on top as the premier lane bully, and with professional players showing us on the world stage the proper way to engage with his ultimate, this means even solo queue players are using him effectively most of the time.